As I’ve mentioned at my Instagram account, I’m about halfway through writing a book about Finnish (and northern European) unsolved mysteries. Disappearances, unsolved homicides, UFO cases, haunted houses – you name it, and there’s probably a chapter in Northern Lights Sonata about it. The easiest cases to write about have been cases of UFO sightings and poltergeist activities. Why? Probably because, as history has closed its books on these incidents, they are somehow “complete” in a way an unsolved disappearance or crime is not. Easily the trickiest chapter to write (so far) has been one about a series of unsolved violent crimes in sourthern Finland possibly involving a serial killer. The killer lurks in the details of the cases that imply his presence, and just when you think you’ve nailed him, you notice that, actually, it might not be that open and shut at all. Another factor complicating the writing process is the seeming lack of a precedent for a case like this in Finland. Whatever the reason, we are apparently not a nation of serial killers, despite our country’s tendencies towards violent crime. As far as I know, I am the only person who has written this deep and detailed an examination of this bizarre Finnish crime case. What’s the case, then? Well, it consists of three elements. 1. A brutal attack on a woman, with a clear intention to kill. 2. 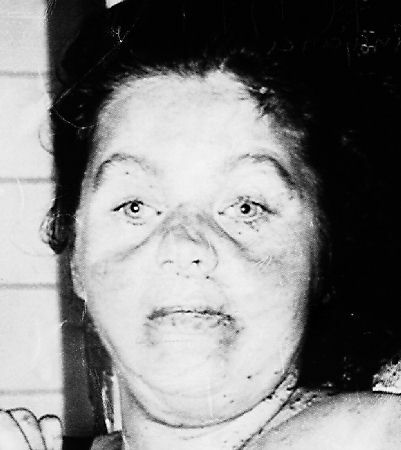 The savage murder of a woman named Tuula Lukkarinen, pictured in the post mortem photo above. 3. The disappearance of a woman fitting the victimology of the supposed serial attacker perfectly. The police believe the cases are connected, and that there are most likely other cases out there that are the handiwork of the same killer. I concur. The cases are all tied to a creepy sandpit in Hausjärvi, Finland. This year on the anniversary of one of those crimes, I’m going to head there, in the middle of the night preferably. Let’s hope someone else doesn’t get nostalgic about his past deeds and decide to show up, too.